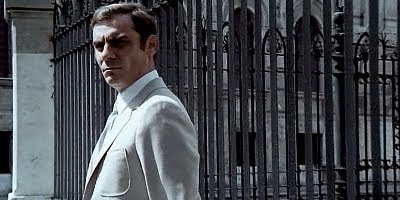 Gian Maria Volonté's incredible performance dominates Elio Petri's masterpiece, buoyed up by a superb supporting cast that includes Florinda Bolkan and Black Sunday's Arturo Dominici. The former Dollar movie heavy plays a fascistic homicide captain, now moving into national politics, who murders his secret sexual playmate, Bolkan, before having his own squad investigate in an elaborate game to discover the lengths he can go to whilst remaining 'above suspicion' due to his power and influence. Reflecting the country in turmoil that was the Italy of the day – and today in many respects – the film addresses the public's anger towards the deeply-ingrained corruption that characterised the political scene. Terrorist bombings and student uprisings are interwoven into what is essentially a simple but extremely effective suspense narrative. One of Ennio Morricone's very best scores also helps to pile on the suspense whilst at the same time seeming to mock the sinister but ultimately ridiculous main character.